What would possess a young woman to leave the life she was born into—and not a life of pain or abuse—to chuck it all and give up a promising future? Nineteen-year-old Beryl, known as Berie, is due to attend college in Virginia when she meets a man by the name of Bay at a bus stop. When he tells her about his life and the folks he lives with she finds him captivating and decides she does not want to go to school, but to be with him. Bay's "family" homestead is in the North Carolina's Appalachian Mountains, and its members are not related by blood, but are bound to one another and live off the land in a very remote location. 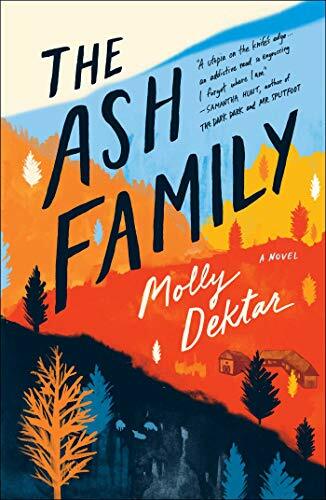 The allure of a loving group joining together in anonymity appeals to Berie, and she scraps her mother's dreams of an education to join Bay and his community. When they arrive at the Ash Family Farm, Berie learns she is allowed to remain for three days or forever. If she lingers longer, she is considered a permanent resident, though she must earn the trust of all, especially Dice, the patriarch. She is instantly won over and for the first time in her life, she feels free, able to think on her own and be independent yet knowing the others watch out for her as she does them. The two dozen or so members welcome her, and Dice initiates her by changing her name to Harmony. He lists his laws, which include leaving your past and all assets behind to be beholden to the residents. She is thrilled to be a part of something bigger than herself and enjoys a camaraderie with the others she never experienced before. The days are spent working at tedious chores such as caring for the cattle, cooking, cleaning, planting, and even slaughtering the livestock. The latter upsets Harmony at first, but she believes she is doing things for the greater good and is eager to please Dice. Though it is frowned upon to single out one in particular, Harmony befriends a young woman named Grace. She experiences a kinship with her and wants to know more about her, though they are warned to let go of their previous lives. When Grace becomes pregnant, Harmony pledges to help her. Having a child is not allowed, yet Grace does not want to abort it. Their main principle is to be self-sufficient and to not rely on "outsiders." They do not believe in doctors and cure illnesses themselves through nature. Dice instructs Pear, an elderly member to make a potion to cause Grace to miscarry, but Grace refuses to drink it. Later, when she does miscarry, Pear insists Harmony drive her car to the nearest pharmacy to beg for antibiotics lest Grace die from infection. This, too, is against the rules, but Harmony worries about Grace and does as Pear requests. "In the early months, sometimes I wondered still why I hadn't gotten on that plane to Virginia. I had not been in the habit of surprising myself like that. But as the days passed, I knew it was this. It was this, I thought in the steely forests, my feet ringing on the hard-as-iron ground. It was this, I thought as steam cascaded upward from our dinner table. It was this, I thought, holding Sara's hand as she led me to my hayloft. I felt as though I'd sidled through some force field into the world where I'd always belonged." Living with the Ash Family is not an easy life. Why would anyone want this? Have many run away from their past or are they looking for love? It appears Dice, their charismatic leader, tenders the right words to brainwash them into believing this is the true way to live. With his mesmerizing tales and magnetic personality, they revere him as a genuine leader. This debut novel is nothing short of compelling with its vivid details of sustaining a crude mountain life, with no aspects, however gruesome, omitted, making this a captivating and haunting tale.